Shane van Gisbergen claims Triple Eight's Supercars title battle with DJR Team Penske is a 'three-car team versus a one-car team' heading into the final two rounds. T8's van Gisbergen and Penske's Scott McLaughlin are neck-a-neck in what's become a two-horse race for the 2018 Supercars title, McLaughlin emerging from a weather-affected Gold Coast round with a slender 14-point lead over his fellow Kiwi. There are now two rounds left for the year, with 600 points on offer across the Pukekohe and Newcastle events. 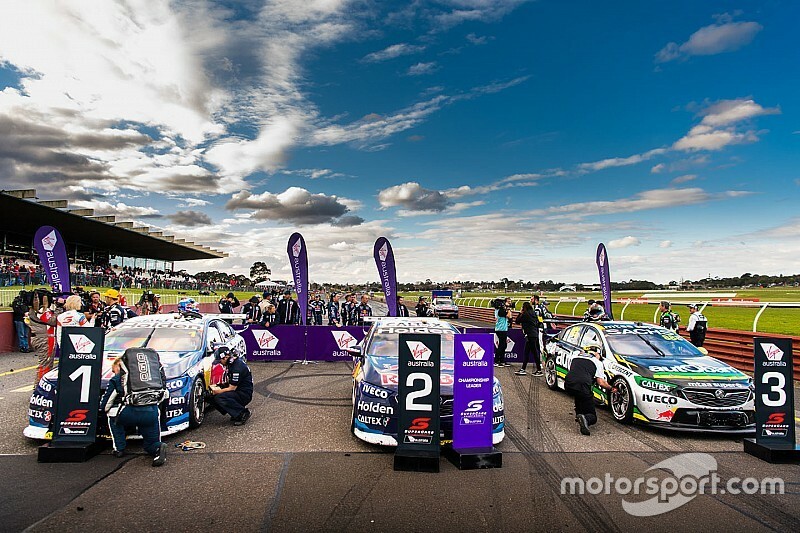 According to van Gisbergen, the key to the title showdown could be the consistent competitiveness coming from all three Triple Eight cars. 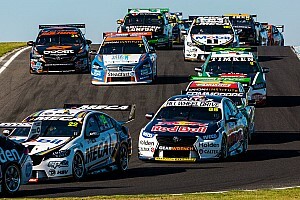 With teammates Jamie Whincup and Craig Lowndes having won races at Sandown and Bathurst, van Gisbergen reckons it's three against one at the front of the field – a clear dig at Penske driver Fabian Coulthard who sits seventh in the championship and hasn't won a race since Winton back in May. “Our strength in this situation [is that] we’re a three-car team versus a one-car team," he said. "Thankfully we seem to always be up there. It’s the team winning first. "Last year I did everything I could to help Jamie [Whincup] win the championship, this year we’ll try and do everything we can to help #97 win." McLaughlin, however, refuted the idea that there was no help coming from the other side of the garage. Adding weight to McLaughlin's point of view is that the Penske outfit did willingly sacrifice its #12 car during Saturday's race on the Gold Coast, short-filling it during the first round of stops to avoid double-stacking, which resulted in a long afternoon of fuel saving having led the way early on. In a similar scenario at the very same time Triple Eight opted to double stack the #97 behind the #1, which ultimately contributed to van Gisbergen losing the points lead. 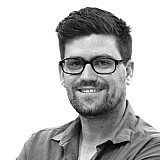 “[The support from Coulthard is] massively important," said McLaughlin. "Obviously, he was strong this weekend, but they took one for the team yesterday. I felt like they had a great car and I thank that side of the garage for allowing us to have pit priority when he was actually in front. "I think the team is doing a good job and working around that." 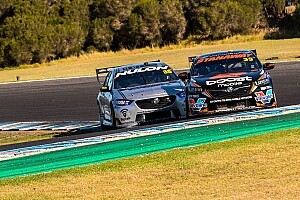 What both van Gisbergen and McLaughlin do agree on is that the title fight is shaping up as a thriller, with the T8 driver likening the Gold Coast round to hitting the reset button on the season. “It feels like we’ve done 12 rounds for nothing," he said. "We’re starting from scratch. It’s a two-round race and it’s going to be awesome. 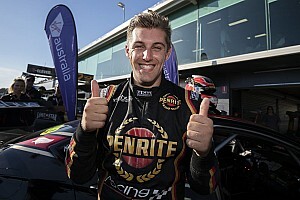 "[Pukekohe and Newcastle are] two tracks that we both drive really well at and I think it’s going to be exciting. The pressure is going to be on, we’ve both got fast cars, it’s probably going to be whoever makes the least mistakes." McLaughlin added: "It’s going to be on. It’s really exciting I guess for New Zealand to have two Kiwis going at it as well. "I’m sure every man and woman and their dog is going to be [at Pukekohe], so it’s going to be good."